Hope Hicks, a close Trump ally and longtime aide to the president, will now lead the previously-embattled White House communications shop as its new director, CBS News has confirmed. First reported by Bloomberg News, Hicks is one of Mr. Trump's most trusted staffers in the West Wing and has been given the job on a permanent basis. White House Press Secretary Sarah Huckabee Sanders confirmed the latest staff development Tuesday morning. CBS News' Chief White House correspondent Major Garrett previously reported that Hicks has been offered a director-like role last month, and that she was mulling the offer with the intention of redefining the position. 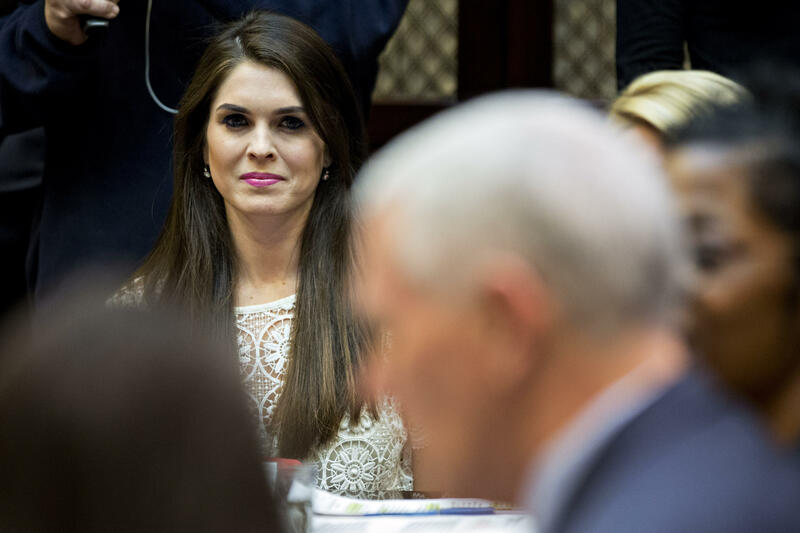 A White House official said in a statement to CBS News at the time, "Hope Hicks will work with White House Press Secretary Sarah Sanders and all of the communications team and serve as the Interim White House Communications Director. We will make an announcement on a permanent communications director at the appropriate time." Garret reports that Hicks currently typically checks in with the president multiple times each day to see how stories are playing and how to proceed on media matters. The 28-year-old Hicks was an early Trump supporter and an original campaign holdover. She was originally brought on to the administration to serve as the director of strategic communications within the White House communications shop. She is expected to work closely with Sanders in crafting messaging for the White House.